Our philosophy is that everyone should have access to the sport of sailing. We support the development and promotion of sailing for all, regardless of skill level or physical ability. 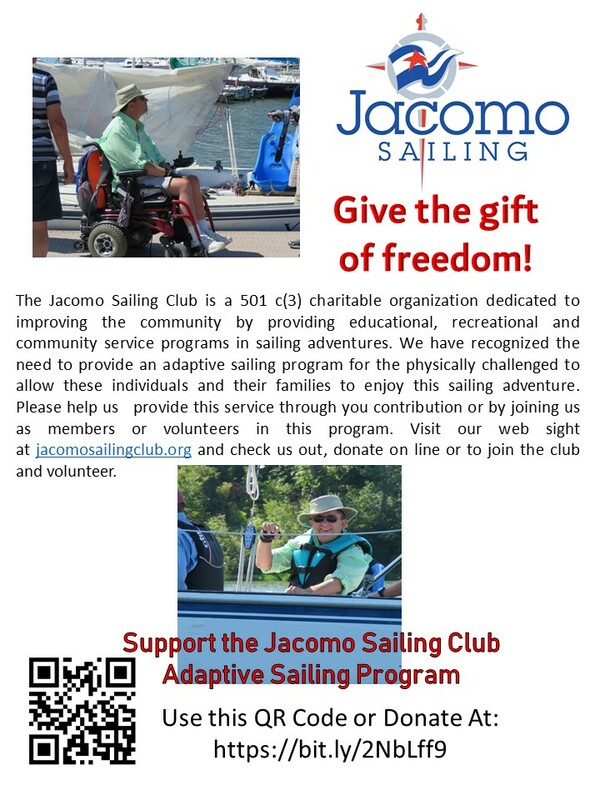 With this program, we hope to assist in meeting the sailing needs of those living with a physical, emotional or cognitive impairment. This program will help to bring the sport of sailing to people who may not otherwise have the opportunity to experience the freedom and excitement our sport can offer.